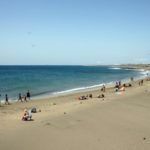 The Matagorda Beach is one of the biggest beaches in Puerto Del Carmen as also the beach called Playa Grande and the beach Los Pocillios. 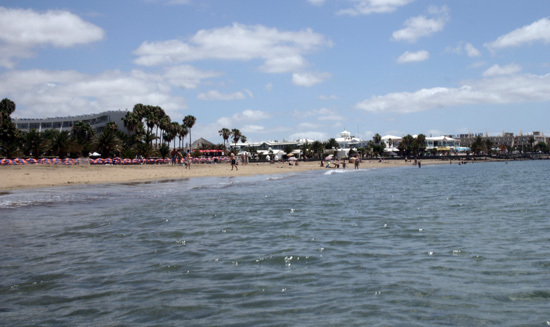 Matagorda Beach has an approximate length of 850 metres and a width of approximately 30 metres. 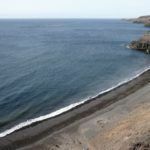 Located on a northern tip of the island and surrounded by residential areas, hotels and apartments. 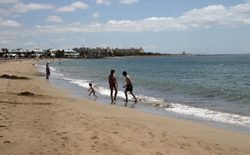 It is one of the busiest beaches of the island. 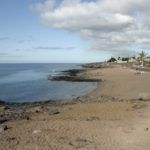 Here you have the option to rent sunbeds and parasols and due to the beaches great stretch of sand it is the perfect spot for walking and to take part in most sports. 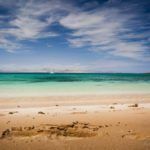 Due to its open location to the sea, there is always a certain degree of wind making it an ideal location for those who take part in windsurfing. 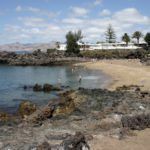 Puerto Del Carmen has generally always excellent weather. It is almost certain that there is sun all year round. 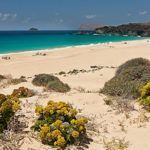 The entire coast is sheltered from the constant trade winds on the island, therefore when the day is extremely hot we are thankful that we have the option to visit Matagorda Beach. Generally there is a gentle sea breeze that makes the stay on the hot summer days much more pleasant. Despite there being a constant wind in this area the sea on a whole is calm. Matagorda Beach is enhanced by the amount of facilities that there are surrounding it. For example restaurants, coffee shops and scattered terraces along the coasts promenade. Thousands of tourists pass along this road daily usually those that are joggers, skaters or bicyclists. Due to the location of Matagorda Beach it allows those flying in from above to observe its surroundings before actually stepping foot on the island. Within this area there is a constant flow of air traffic daily. From the shore right out to sea we are able to greet new visitors flying in a boing 747 while they admire the beautiful colour of the water below. 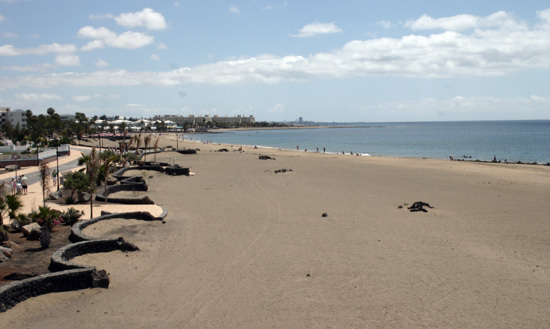 850 meter long beach of golden sand in the tourist resort of Puerto del Carmen. With restaurants, bars and supermarkets nearby.